2. ACCESS TO THE SERVICES. 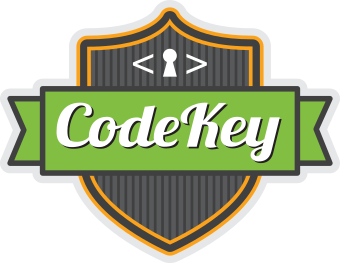 The CodeKey.org website and domain name and any other linked pages, features, content, or application services (including without limitation any mobile application services) offered from time to time by Company in connection therewith (collectively, the “Website”) are owned and operated by Company. Subject to the terms and conditions of this Agreement, Company may offer to provide certain services, as described more fully on the Website, and that have been selected by you (together with the Website, the “Services”), solely for your own use, and not for the use or benefit of any third party. The term “Services” includes, without limitation, use of the Website, any service Company performs for you and the Content (as defined below) offered by Company on the Website. Company may change, suspend or discontinue the Services at any time, including the availability of any feature, database, or Content. Company may also impose limits on certain features and services or restrict your access to parts or all of the Services without notice or liability. Company reserves the right, in its sole discretion, to modify this Agreement at any time by posting a notice on the Website, or by sending you a notice. You shall be responsible for reviewing and becoming familiar with any such modifications. Your use of the Services following such notification constitutes your acceptance of the terms and conditions of this Agreement as modified. Because some of our users may be interested in it, we have included some information below related to the Children’s Online Privacy and Protection Act (“COPPA”). COPPA requires that online service providers obtain parental consent before they knowingly collect personally identifiable information online from children who are under 13. Therefore, we only collect personal information through the Services from a child under 13 where that student’s school, district, and/or teacher has agreed (via the terms described in the following paragraph) to obtain parental consent for that child to use the Services and disclose personal information to us or where the parent or legal guardian of a child has signed the child up to use the Services. If you are a student under 13, please do not send any personal information about yourself to us if your school, district, and/or teacher has not obtained this prior consent from your parent or guardian or if your parent or guardian has not signed you up to use the Service, and please do not send any personal information other than what we request from you in connection with the Services. If we learn we have collected personal information from a student under 13 without parental consent being obtained by his or her parent, guardian, school, district, and/or teacher, or if we learn a student under 13 has provided us personal information beyond what we request from him or her, we will delete that information as quickly as possible. If you believe that a student under 13 may have provided us personal information in violation of this paragraph, please contact us at support@CodeKey.org. If you are a school, district, or teacher, you may have the Company generate an access code for you to use with each limited access group you administer (an “Access Code”). For example, if you wished to establish a closed group among yourself, as a teacher, and your 4th grade class, you would distribute the Access Code only to those members of your 4th grade class that you wanted to view what was going on within that group. Everyone to whom a group administrator distributes the Access Code to will be a member of that “Limited Access Group.” Students will log into to the Services using accounts created by teachers, school administrators or teachers or students may log in through their Google Apps For Education log in and use an Access Code to join a Limited Access Group. 3. SERVICES CONTENT. The Services and its contents are intended solely for the personal, non-commercial use of Services by users and may only be used in accordance with the terms of this Agreement. All materials displayed or performed on the Services (including, but not limited to text, graphics, articles, photographs, images, illustrations (also known as the “Content,” and which includes User Submissions (as defined below) are protected by copyright. You shall abide by all copyright notices, trademark rules, information, and restrictions contained in any Content accessed through the Services, and shall not use, copy, reproduce, modify, translate, publish, broadcast, transmit, distribute, perform, upload, display, license, sell or otherwise exploit for any purposes whatsoever any Content or third party submissions or other proprietary rights not owned by you: (i) without the express prior written consent of the respective owners, and (ii) in any way that violates any third party right. The Services are protected by copyright as a collective work and/or compilation, pursuant to U.S. copyright laws, international conventions, and other intellectual property laws. You may not modify, publish, transmit, participate in the transfer or sale of, reproduce (except as expressly provided in this Section), create derivative works based on, distribute, perform, display, or in any way exploit, any of the Content, software, materials, or Services in whole or in part. 4. RESTRICTIONS. You warrant, represent and agree that you will not contribute any Content or otherwise use the Services in a manner that (i) infringes or violates the intellectual property rights or proprietary rights, rights of publicity or privacy, or other rights of any third party; (ii) violates any law, statute, ordinance or regulation; (iii) is harmful, fraudulent, deceptive, threatening, abusive, harassing, tortious, defamatory, vulgar, obscene, libelous, or otherwise objectionable; (iv) involves commercial activities and/or sales without Company’s prior written consent such as contests, sweepstakes, barter, advertising, or pyramid schemes; (v) impersonates any person or entity, including without limitation any employee or representative of Company; or (vi) contains a virus, trojan horse, worm, time bomb, or other harmful computer code, file, or program. Company reserves the right to remove any Content from the Services at any time, for any reason (including, but not limited to, upon receipt of claims or allegations from third parties or authorities relating to such Content or if Company is concerned that you may have breached the immediately preceding sentence), or for no reason at all. You, not Company, remain solely responsible for all Content that you upload, post, email, transmit, or otherwise disseminate using, or in connection with, the Services, and you warrant that you possess all rights necessary to provide such content to Company and to grant Company the rights to use such information in connection with the Services and as otherwise provided herein. 5. WARRANTY DISCLAIMER. Company has no special relationship with or fiduciary duty to you. You acknowledge that Company has no control over, and no duty to take any action regarding: which users gain access to the Services; what Content you access via the Services; what effects the Content may have on you; how you may interpret or use the Content; or what actions you may take as a result of having been exposed to the Content. You release Company from all liability for you having acquired or not acquired Content through the Services. The Services may contain, or direct you to websites containing, information that some people may find offensive or inappropriate. Company makes no representations concerning any content contained in or accessed through the Services, and Company will not be responsible or liable for the accuracy, copyright compliance, legality or decency of material contained in or accessed through the Services. Company makes no representations or warranties regarding the accuracy of descriptions anywhere on the Services, or regarding suggestions or recommendations of services or products offered or purchased through the Services. Products and services purchased (whether or not following such recommendations and suggestions) are provided “AS IS” without any warranty of any kind from Company or others unless, with respect to others (only), otherwise made expressly and unambiguously in writing by a designated third party for a specific product or service. THE SERVICES, CONTENT, WEBSITE, PRODUCTS AND SERVICES OBTAINED THROUGH THE WEBSITE, AND ANY SOFTWARE ARE PROVIDED ON AN "AS IS" BASIS, WITHOUT WARRANTIES OF ANY KIND, EITHER EXPRESS OR IMPLIED, INCLUDING, WITHOUT LIMITATION, IMPLIED WARRANTIES OF MERCHANTABILITY, FITNESS FOR A PARTICULAR PURPOSE, NON-INFRINGEMENT, OR THAT USE OF THE SERVICES WILL BE UNINTERRUPTED OR ERROR-FREE. SOME STATES DO NOT ALLOW LIMITATIONS ON HOW LONG AN IMPLIED WARRANTY LASTS, SO THE ABOVE LIMITATIONS MAY NOT APPLY TO YOU. 7. REGISTRATION AND SECURITY. As a condition to using some aspects of the Services, you may be required to register with Company and select a password and user name (“Company User ID”). If you are accessing the Services through a third party site or service (such as “Facebook Connect”), Company may require that your Company User ID be the same as your user name for such third party site or service. You shall provide Company with accurate, complete, and updated registration information. Failure to do so shall constitute a breach of this Agreement, which may result in immediate termination of your account. In certain situations, your Company User ID may be selected for you by your school or district; the same rules apply to them when they select a Company User ID for you. You may not (i) select or use as a Company User ID a name of another person with the intent to impersonate that person; or (ii) use as a Company User ID a name subject to any rights of a person other than you without appropriate authorization. Company reserves the right to refuse registration of or cancel a Company User ID in its discretion. You shall be responsible for maintaining the confidentiality of your password. If you access the Service through a third party site or service, you will provide your third party account credentials to Company, and you are consenting to have the information in those accounts transmitted into your Company account, and you agree that you shall only use accounts owned by you, and not by any other person or entity. 8. INDEMNITY. You will indemnify and hold Company, its parents, subsidiaries, affiliates, officers, and employees harmless (including, without limitation, from all damages, liabilities, settlements, costs and attorneys’ fees) from any claim or demand made by any third party due to or arising out of your access to the Services, use of the Services, your violation of this Agreement, or the infringement by you or any third party using your account of any intellectual property or other right of any person or entity. 9. LIMITATION OF LIABILITY. TO THE FULLEST EXTENT ALLOWED BY APPLICABLE LAW, IN NO EVENT SHALL COMPANY OR ITS SUPPLIERS, OR THEIR RESPECTIVE OFFICERS, DIRECTORS, EMPLOYEES, OR AGENTS BE LIABLE WITH RESPECT TO THE WEBSITE OR THE SERVICES OR THE SUBJECT MATTER OF THIS AGREEMENT UNDER ANY CONTRACT, NEGLIGENCE, TORT, STRICT LIABILITY OR OTHER LEGAL OR EQUITABLE THEORY (I) FOR ANY AMOUNT IN THE AGGREGATE IN EXCESS OF THE GREATER OF $100 OR THE FEES PAID BY YOU TO COMPANY HEREUNDER DURING THE 12-MONTH PERIOD PRECEDING THE APPLICABLE CLAIM; (II) FOR ANY INDIRECT, INCIDENTAL, PUNITIVE, OR CONSEQUENTIAL DAMAGES OF ANY KIND WHATSOEVER; (III) FOR DATA LOSS OR COST OF PROCUREMENT OF SUBSTITUTE GOODS OR SERVICES; OR (IV) FOR ANY MATTER BEYOND COMPANY’S REASONABLE CONTROL. SOME STATES DO NOT ALLOW THE EXCLUSION OR LIMITATION OF INCIDENTAL OR CONSEQUENTIAL DAMAGES, SO THE ABOVE LIMITATIONS AND EXCLUSIONS MAY NOT APPLY TO YOU. 10. FEES AND PAYMENT. You shall pay all applicable fees, as described on the Website and/or your account settings in connection with the Services selected by you. You shall be responsible for all taxes associated with your use of such Services, including, without limitation any federal, state, local or foreign taxes or any sales or use taxes. Company reserves the right to change its price list and to institute new charges at any time, upon notice to you, which may be sent by email or posted on the Website. Your use of the Services following such notification constitutes your acceptance of any new or increased charges. Any fees paid hereunder are non-refundable. 12. TERMINATION. This Agreement shall remain in full force and effect while you use the Services. You may terminate your use of the Services at any time. Company may terminate or suspend your access to the Services or your membership at any time, for any reason, and without warning, which may result in the forfeiture and destruction of all information associated with your membership. Company may also terminate or suspend any and all Services and access to the Website immediately, without prior notice or liability, if you breach any of the terms or conditions of this Agreement. Upon termination of your account, your right to use the Services, access the Website, and any Content will immediately cease. All provisions of this Agreement which, by their nature, should survive termination, shall survive termination, including, without limitation, ownership provisions, warranty disclaimers, and limitations of liability. 13. MISCELLANEOUS. The failure of either party to exercise, in any respect, any right provided for herein shall not be deemed a waiver of any further rights hereunder. Company shall not be liable for any failure to perform its obligations hereunder where such failure results from any cause beyond Company’s reasonable control, including, without limitation, mechanical, electronic or communications failure or degradation (including “line-noise” interference). If any provision of this Agreement is found to be unenforceable or invalid, that provision shall be limited or eliminated to the minimum extent necessary so that this Agreement shall otherwise remain in full force and effect and enforceable. This Agreement is not assignable, transferable or sublicensable by you except with Company’s prior written consent. Company may transfer, assign or delegate this Agreement and its rights and obligations without consent. Both parties agree that this Agreement is the complete and exclusive statement of the mutual understanding of the parties and supersedes and cancels all previous written and oral agreements, communications and other understandings relating to the subject matter of this Agreement, and that all modifications must be in a writing signed by both parties, except as otherwise provided herein. No agency, partnership, joint venture, or employment is created as a result of this Agreement and you do not have any authority of any kind to bind Company in any respect whatsoever. Headings for each section have been included above for your convenience, but such headings do not have any legal meaning, and may not accurately reflect the content of the provisions they precede. Except as expressly set forth in Section "APPLE DEVICE AND APPLICATION TERMS" below, you and Company agree there are no third party beneficiaries intended under this Agreement. 14. ARBITRATION; GOVERNING LAW. This Agreement shall be governed by and construed in accordance with the laws of the State of Michigan without regard to the conflict of laws provisions thereof. Any dispute arising from or relating to the subject matter of this Agreement shall be finally settled by arbitration in Oakland County, Michigan, using the English language in accordance with the Streamlined Arbitration Rules and Procedures of Judicial Arbitration and Mediation Services, Inc. (“JAMS”) then in effect, by one commercial arbitrator with substantial experience in resolving intellectual property and commercial contract disputes, who shall be selected from the appropriate list of JAMS arbitrators in accordance with the Streamlined Arbitration Rules and Procedures of JAMS. Judgment upon the award so rendered may be entered in a court having jurisdiction, or application may be made to such court for judicial acceptance of any award and an order of enforcement, as the case may be. Notwithstanding the foregoing, each party shall have the right to institute an action in a court of proper jurisdiction for injunctive or other equitable relief at any time. For all purposes of this Agreement, the parties consent to exclusive jurisdiction and venue in the United States Federal Courts located in the Eastern District of Michigan. 15. COPYRIGHT DISPUTE POLICY. Company has adopted the following general policy toward copyright infringement in accordance with the Digital Millennium Copyright Act or DMCA (posted at www.lcweb.loc.gov/copyright/legislation/dmca.pdf). The address of Company’s Designated Agent to Receive Notification of Claimed Infringement (“Designated Agent”) is listed at the end of this Section. It is Company’s policy to (1) block access to or remove material that it believes in good faith to be copyrighted material that has been illegally copied and distributed by any of our advertisers, affiliates, content providers, members or users; and (2) remove and discontinue service to repeat offenders. Please contact Company’s Designated Agent to Receive Notification of Claimed Infringement at the following address: Email us at privacy@CodeKey.org or contact us at 43155 Main Street Suite #2300 O Novi, MI 48375. 16.10 Both you and Company acknowledge and agree that Apple and Apple's subsidiaries are third party beneficiaries of this Agreement, and that upon your acceptance of this Agreement, Apple will have the right (and will be deemed to have accepted the right) to enforce this Agreement against you as the third party beneficiary hereof. 17. CONTACT. If you have any questions, complaints, or claims with respect to the Services, you may contact us at 43155 Main Street Suite #2300 O Novi, MI 48375. Or email us at privacy@CodeKey.org.